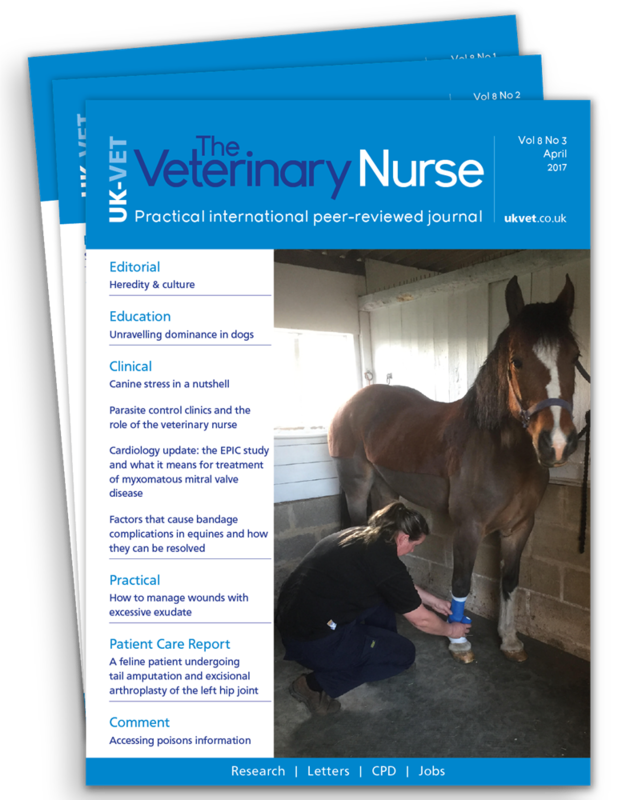 The Veterinary Nurse delivers high-quality, peer-reviewed practical articles to assist veterinary nurses in daily practice. Written and reviewed by expert practitioners, it covers every clinical topic of relevance, such as nutrition, pharmacology and critical care, and every species you are likely to encounter - large, small and exotic; it is the professional resource for clinical expertise, best practice and continued learning. Every issue of shares practical information that veterinary professionals can refer to in daily practice. Written by fellow vet nurses, its clinical support helps readers to reflect on their practice, and informs their educational and professional development. The journal also offers an extensive online CPD programme, allowing subscribers to complete 10 reflective practice CPD modules per year, and stay ahead of their CPD obligations. Subscribe now and get your first 3 issues for only £3 - a saving of over 88% on our normal rate. 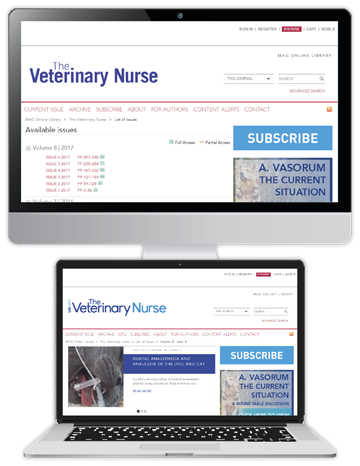 Try The Veterinary Nurse today and discover how we can help you in practice. We are sure you won't be disappointed - but you can cancel your subscription anytime. *£3 for the first three issues of your subscription. Price will revert to standard rate of £26.00 per quarter thereafter. Payment taken by Direct Debit every three months.